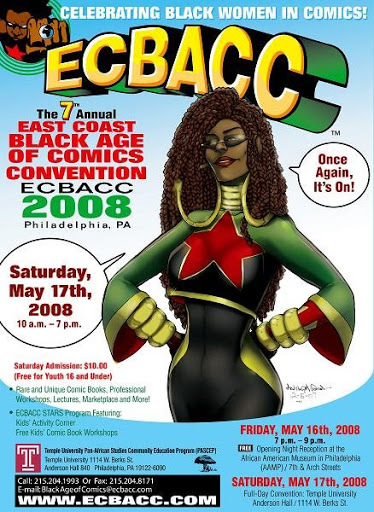 This weekend starts the East Coast Black Age of Comicon ’08 in Philly this weekend. A lot of cool people are going to be there… you can just look below and get a gander at who, for starters. I’ve been asked to come there to speak on a panel of other African-American artist and writers to talk to people about the state of affairs in modern comics and field questions from anyone who wants to know how to break in and what it takes to be an artist. I’ve done that before, so it’s old hat. SO.. if you have time, you should go check it out!! Maybe i’ll see you there. I’ll only be there on Saturday. Here’s the link to ECBACC….just click the lavender. 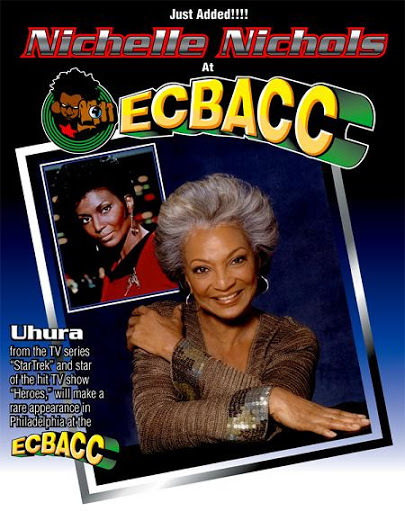 All the information is there and other sites where ECBACC is located. A lot will be going on this month, so i’ll be posting as soon as it happens. Maybe i’ll even have time to get me a famous cheesesteak or two..!!! 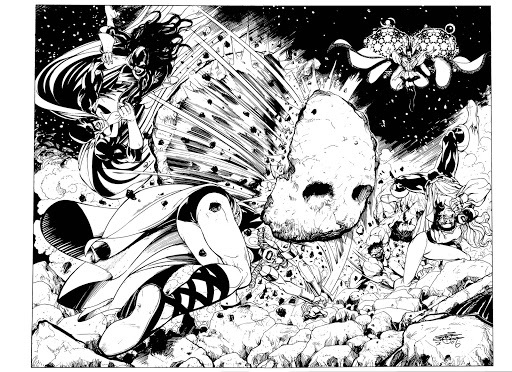 This is a commission i did for a brother in Italy. He has a major jones for the old Defenders. So in 2006, around September… i think… i got around to getting it done. This is just to show you that if you ask for a commission from me, what kind of work you’ll get when you pay for a one-of-a-kind drawing. I will be posting commissions that i’ve done for people in the past as well as future commishes. If you want one for yourself, go to Mark Hay. He’ll do you up right. Just click Mark’s name and it’ll go directly to his site. Hope to do business with you. click the pic , too. It gets bigger. This is the most amazing thing i have ever seen. I’ve always had a thing for ALICIA KEYS. I even have a top one hundred list in my brain of all the type of women i like. Will you LOOK AT THE BODY on ALICIA? If you are a man, and you don’t like what you see in this vid… something’s wrong with you. If you are a white man and you don’t like the hips on this sister… something has melted your brain. I say this because of the many talks with my caucasian brethren who say they like there women with skinny thighs and tight hips. A broomstick with a hair-weave. OR what we brothers call NASSITALL. OR NO A– AT ALL. can’t say the word. I don’t curse. Use your imagination. If you’re gay, and you’re not at least swayed enough to say…”Pookie, look at the bricks in that house, hunney. I’m tempted to make my crooked way STRAIGHT for a day with that!”, then you’re in EXTREME denial, “sistuh“. If you are an ATHIEST, look at her. You’ve just seen proof that GOD does EXIST. Why stare into a corn chip looking for the Madonna and Jesus when living proof of God’s beauty is in plain view? To which i say that being a born-again Christian means in part about dying to the “old man” that you used to be. It doesn’t mean i’m DEAD. That, my dear men, is what a WOMAN looks like. God can make a woman can’t he?